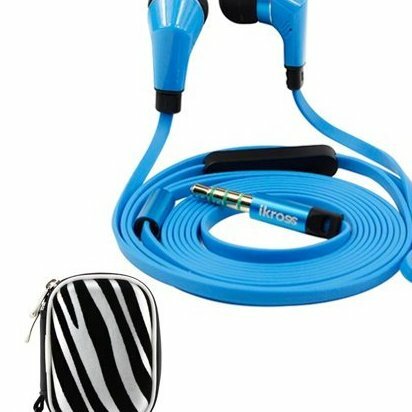 iKross stereo earbuds with microphone. Model # Ikhs11l Noise reduction microphone and earbuds. Premium tangle-free flat cable with metallic housing earbuds. Includes three pairs of soft gel earpieces in various sizes for custom fit. Cord mounted ON/OFF button which lets you take calls and hang up easily. & eligible for FREE Shipping.